O livro, da autoria do professor Noël Golvers, do Instituto Ferdinand Verbiest (Universidade Católica de Lovaina, na Bélgica), é o resultado de um vasto trabalho de duas décadas de investigação e o mais recente e completo trabalho de levantamento da variada correspondência do P. Ferdinand Verbiest. Together with Verbiest’s printed works, this correspondence is the most direct witness of his rich life and activities (1623-1688). It covers the 43 years between his first application for the Indies (1645) and his farewell to the Kangxi Emperor (28.01.1688). Side by side with the copies of his astronomical drawings and eclipse maps, inventoried in F. Verbiest and the Chinese Heaven (2003), these letters reveal a wide-ranging network of contacts, within China and with Europe. 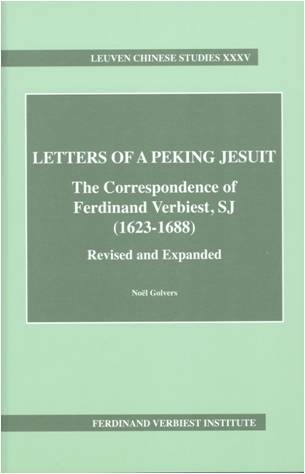 The topics are as many and various as the 55 correspondents are different, spanning the whole spectrum from the Jesuits in Moscow to Pedro II in Lisbon, from the Franciscans in Shandong to Pope Innocentius XI and the Cardinals of CPF in Rome. The topics are related to his successive positions in the Jesuit hierarchy in China, his work as an engineer and ‘astronomer’ for the Court and his international diplomatic interventions, with the Jesuit mission in China as the central argument. Verbiest appears in his letters as a very engaged personality, with strong (but carefully outed) convictions and a wide outlook, which comprises the Peking and European Courts, together with Manila, Goa and Siam in one vision. This edition of 134 letters from and to Verbiest replaces that of Henri Bosmans (ed. by H. Josson and L. Willaert), publ. in Brussels in 1938. 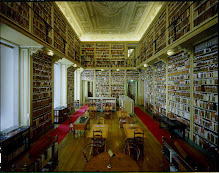 It is a critical revision of the formerly known 80 items, with a restitution of the original Chinese transcriptions (due to A. Dudink), all extended with 54 new items, mostly from the Ajuda archives (Lisbon), the latter putting especially the Chinese scene in the focus. Two major documents are added (dated 1661 and 1681), which reflect his talents as a polemic writer; also in various other letters he unfolds scriptorial talents, combined to a sharp sense of observation. 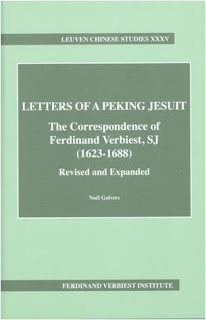 All this makes this pluri-linguistic corpus (mainly in Latin and Portuguese) to a first-hand testimony of the Jesuit mission in China during the restoration from its crisis (1665-1669) to its apogee, of which many dramatic moments and aspects are revealed by the author, who was the main agent in this process.